Saving the world's only alpine breeding seabird! 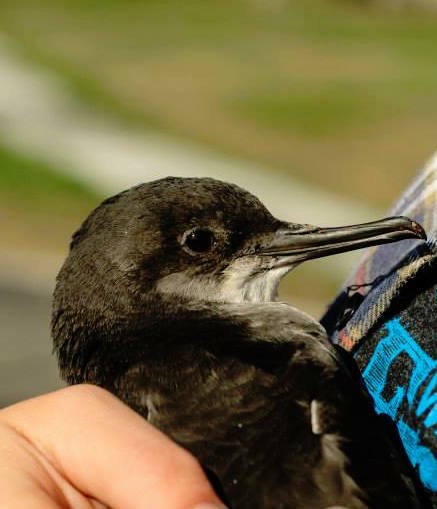 The Trust will be using Hutton’s Shearwater Rescue Logs for crash landed fledglings collected throughout the Kaikoura township. If you find a Hutton’s shearwater during the Fly Safe month, please fill this log in if possible and deliver with each bird to the Hutton’s Hub. This data is needed for important light disorientation research by the University of Canterbury. Logs will be available at the ‘Hutton’s Hub’ (adjacent to the Department of Conservation office on 115 Ludstone Road in Kaikoura), Kaikoura schools and Kaikoura District Council. You can support the Trust in continuing its conservation work, by becoming a Friend Of The Hutton's Shearwater, making a donation, purchasing Hutton's shearwater merchandise, and spreading the word.